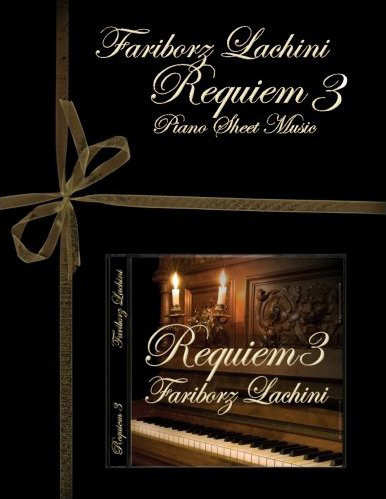 "Requiem 3 is the third in a series of classically-styled piano solos by Canadian/Iranian composer/pianist Fariborz Lachini. In keeping with the theme (a requiem is a piece composed in honor of someone's death), the eight original compositions are slow, reflective, and melancholy, but this is not a dark or depressing album. 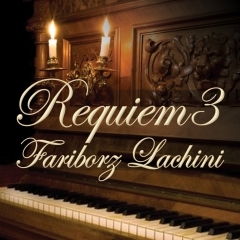 Always graceful and elegant, this is some of Lachini's most beautiful and evocative music to date. A very prolific composer who has done a great deal of film soundtrack work as well as his own arrangements of Iranian folk and pop music, Lachini has a distinctive style that often reflects his own cultural influences as well as his European musical training - a true world musician! Fellow pianists will delight in the companion songbook, which is also reviewed here. Requiem 3 begins with "Farewell to Past", a somber piece that is sad but not without hope. The extensive use of trills enhances the emotional quality of the piece and gives it a more classical approach. "Secrets and Dreams" is strongly influenced by some of Chopin's nocturnes and is a favorite. The emotional nature of the piece touches the heart and evokes a deep sigh. "Morning Light" is delicate, hopeful, and very moving. "Silent Truth" again hints of Chopin's introspective melancholy with a slowly flowing left hand and poignant melody - another favorite. "Shadows' Fate" has a somewhat more tragic quality with an elegant melody and gentle left hand accompaniment. "Embrace" is slow, graceful, and very passionate. "Dilemma" beautifully conveys the emotional confusion of having to make a difficult choice. Very introspective and again very poignant, it's a wonderful ending to an outstanding album.